We manufacture our own electric heat exchangers, using only the best materials to ensure a long product lifetime and reliable operation. 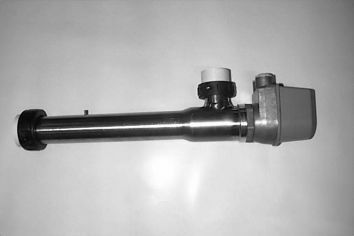 In addition to our own heat exchangers, we supply more or less all other makes of electric and boiler heat exchangers. Scandi heat exchangers are available in five different sizes: 2,6,9, 15 or 18 kW. 2, 6 and 9 kW, Ø50 mm bonded unions. Heating housings in AISI 316. Heating elements in AISI 316. 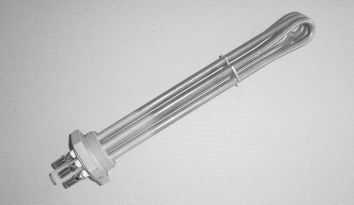 We can also supply heating elements in other materials, e.g. Incoloy 825 and SMO. All our heating elements have a sensor pocket for overheat protection. All sizes can be supplied with overheat protection. 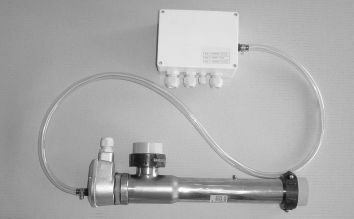 All sizes can also be supplied with both overheat protection and a thermostat integrated into the connection box. The 2,6 and 9 kW versions can also be supplied either with a separate or integrated circuit box with overheat protection.